“Find something you’re passionate about and keep tremendously interested in it.” – Julia Child. For someone who has been baking at home for over 15 years, passion is what makes her enjoy it even today. She calls herself a ‘Domestic Engineer’ and believes blogging has taken over her life since 2007. ‘Doing Food From Scratch’ is the mantra of her blog. We are all set to welcome the person who has made baking very interesting and taken to the next level in India. 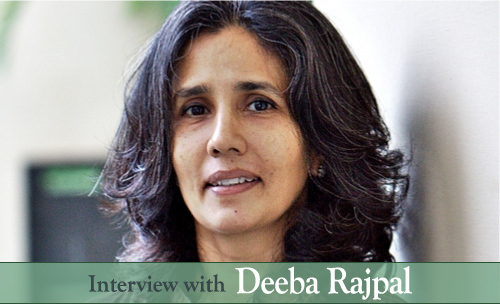 Say Hello to Deeba Rajpal, the blogger behind one of the finest baking and food blogs in India, Passionate about Baking. Pre-heat your oven’s as we are sure, you will get the urge to bake something after reading this interview. A: In August 2007 (seems like ages ago now). I had time and an Internet connection and had recently discovered food blogs! A: Food, baking in particular, but cooking as well. I throw in a few bits of travel from time to time. A: Yes of course, quite often. I switch over to editing photographs for the post, making collages etc., and this often acts as a source of inspiration. Q: You have an Honors in Economics. From being a student of Economics, you are now into baking. Tell us something more about your life and career before you stepped into blogging world. A: I joined the aviation industry after graduating from Delhi University (LSR). From macro economics to shooting macro images, I’ve come a long way. I joined BA in customer services after I graduated and enjoyed a wonderful 7-8 years with them. I was heading passenger services when I left the company (when my daughter was born). Those were the best years of my life in many ways. Fortunately for me, food blogging came like a second beginning, something I enjoy even more! Q: You are surrounded by a food culture which mostly comprises of Mughlai and Punjabi food. How did your passion for baking start? Were you inspired by someone? Considering that you’ve been baking at home since more than 15 years, did you ever think of making it as a career? A: My friends from school (CJM, Delhi) tell me that I baked my own birthday cakes in school and taught them to bake. A family happy to play guinea pig inspired me, braving my failures without battling an eyelid. Yes, I have wanted to make this a career, yet have chosen to keep the family first. However, I know one day I shall find some way of meeting my goal, whether through teaching, writing a cookbook, a TV show…whatever! I do some freelance writing and produce some food articles for magazines. Q: Why do you think baking is not so popular in India? Also, it is generally considered not healthy in this country (processed flour, breads etc). Do you feel that is one of the reason for it to be unpopular here? How do you take care of healthy baking? A: I don’t think it’s because baking is considered unhealthy (some Indian native sweets/mithais are equally healthy or unhealthy). Baking is not very popular in India as every home doesn’t have an oven. Also, baking isn’t traditional and thus considered alien ground. People are often intimidated by baking at home, though we don’t think twice before buying that beautiful cake or fresh bread from the pastry shop. I often experiment with alternative grains like buckwheat, oats, almond meal in my baking (whole wheat oat chocolate chip cookies), use olive oil in my bakes, make cheesecakes out of quark, use seasonal fruit etc. I’m a huge fan of ingredients like honey and olive oil and would use them more often if they weren’t so expensive. Q: Have you taken any formal training in cooking/baking? From where do you source your ingredients? Do you follow any recipe books for baking, or do you experiment along the way? A: No I haven’t had any formal training. I just follow my instincts and aesthetic sense. Experience is a wonderful teacher. I source my ingredients locally (other than things like chocolate chips, couverture chocolate, cream of tartar, etc.). Readers of my blog often mail me interesting ingredients like vanilla beans, muscavado sugar, egg white powder; for these I am eternally grateful. I have a few cookbooks that I refer to, but I get a LOT of inspiration from food blogs and web sites. Experimenting and substitution in recipes is an inherent part of me, that happens almost 99% of the time. Q: For someone who is new to baking, what tips would you give to him/her. Tell us some important things that every baker should take care of, that can make or break a cake. 🙂 According to you, does becoming a Pastry Chef in India have a future? Tell us 5 steps that can promote baking as a profession in India. A: I bake in a conventional oven. Whatever your choice, conventional or microwave, explore your oven, experiment. Don’t be daunted by failure. For a successful cake, make sure the ingredients are fresh and at room temperature. Try not to wander away from the recipe you are following the first time. Being a pastry chef is an enviable profession but one that demands long hours and hard work. India is waking up to good quality patisseries and IMHO, individual talent plays a HUGE role here. A good aesthetic sense and innovation will go a long way. It’s like creative art, a place where you can develop your individual trademark style. 5 steps: Food is very visible these days, so grabbing eyeballs is not an issue. Any weekend newspaper/digital media will dedicate at least a page or two to food trends, chefs, etc. TV baking shows, food photography competitions, media coverage, career options offered at school, intensive introductory baking workshops to introduce the profession…. Q: Explain us about your blog’s tagline – ‘Doing it from scratch’. We want to know the secrets from Deeba’s oven, favorite ingredients, techniques, etc. Also share with us a recipe you have a sweet tooth for. I am hopelessly addicted to kitchen gadgets and tools, and am fortunate to receive products to review from time to time (eg: Ergo Chef knives). My favourite new kitchen machine is the Thermomix! I use a counter top Morphy Richards 40L oven. Secrets from my oven: Good, quality ingredients, homemade white butter (yes I make mine weekly), fresh seasonal fruit and the resolve to take a failure as a challenge (I have my fair share!). Favourite ingredients – coffee, garlic, bell peppers, vanilla beans (from South India), fresh soft cheese (mascarpone, ricotta, quark – all homemade) and seasonal fruit. Q: When can we expect a cook-book from you? What things would the book include? Q: You also blog at Mactweets, jointly with Jamie. Tell us something about how you two met. How did the idea of starting this blog came about and how is it different from your individual blogs? A: Jamie and I met on twitter; we were fated to meet! Mactweets was born when I challenged Jamie to bake macarons as a whole bunch of us on Twitter were intimidated by the very idea of making these French cookies. Neither she nor I had ever baked some before, yet she bravely jumped to the challenge! She successfully delivered and there was no looking back…an idea was born! From a handful of us on Twitter, to a growing tribe of mac passionate folk, we create macarons according to a theme each month. Jamie & I have our own individual food blogs, mine at PAB, and her’s at Life’s A Feast. We were fortunate to meet up in London in Nov 2009 at the Food Bloggers Connect, and we hit it off like we’d known each other forever. Mactweets is jointly owned by the two of us. We both pitch in, cover when the other is away, decide a theme together (and interestingly, more often than never, we chat on twitter, messaging wildly, secretly on DM), or then trying to touch base on Skype. Q: By feeding your blog with delicious recipes, your family also gets to eat these dishes. What kind of support do you receive from your kids, husband and coco? 🙂 Do they help you in baking sometimes? A: It’s the family behind the blog that keeps it going. They are enthusiastic, they wait till I take photographs before descending on the stuff I cook/bake; they are my guinea pigs and the reason the blog is well fed. It isn’t a wonder that you see quite a few desserts…the troops have a sweet tooth! The kids like to help at times, but now seem to be far more interested in the end product. The lad will still sit and sniff out different ingredients much to my amusement. The hub is a silent onlooker in the kitchen, not a handy man there at all, though always willing to help and a wonderful critic. He’d rather get his hands dirty fixing aeroplanes, which is what he loves to do. Q: Through your photographs of dishes we understand two things – Photography is one of your passions too and also you pay a lot of attention on the presentation of what you create. They say people eat with their eyes first. How important is presentation of food? Any pointers you would like to give? A: Photography, more importantly food styling, is an obsession for me thanks to my Canon 50D. It inspired me to experiment, to innovate, to make things look good. Presentation is of prime importance to me. Every platter that leaves my kitchen should be good looking and neatly arranged. I believe completely that people eat with their eyes first, and good looking food seems to taste better too (most of the time). A simple garnish can make a world of a difference. Pointers: Make a small extra effort to dress your food. Before cooking, keep a few contrasting ingredients (eg: vanilla bean, chocolate shaving, mint sprigs, mango slivers) aside for garnishing. Take pride in what you serve; read blogs, magazines, see advertisements for inspiration. Q: Baking and Photography are clearly your interests. But what does Deeba do when she is not feeding her blog? Q: Share with us some learnings that you have gathered while blogging. You often start your blog with a quote. We want to quote you with something now. 🙂 Please share your thoughts. A: I should probably do more, but I don’t have a fierce competitive side. Possibly my blog and passion speaks for itself. I have been blessed with a good loyal readership, a great bunch of foodie friends and a desire to share the little I know. The only promotion I might do is tweet my post once I publish it, and auto share it on FB. I like posting my food pictures on various sites like Foodgawker, Tastespotting, Flickr, etc. A: It is the readers that bring life to a blog so it is imperative to interact with them. I try and respond to as many comments as I can; I wish I could respond to all. It makes for good blog ethics. A: The connect, the loyalty and enthusiasm of my readers. In many ways it is exhilarating – blogging without boundaries! A: First find your passion, then dream it. Your blog must have a focus, a niche. Be natural and original, ethical. Make sure you post at least once a week. Talk to your readers, listen to what they say … connect with them! A: A little via advertising and I have a long way to go. I would love some advice really as I’m not very ‘revenue savvy’, though would love to be. Anyone? The oven would have got preheated by now. 🙂 So are you ready to bake? Deeba, it was a pleasure to host you at your Adda. Friends, share with the photos of the items you baked after reading this interview. For now, Alvida Na Kehna. Jokes apart, my warmest compliments to BlogAdda for featuring such an awesome blogger. I am just discovering this wonderful interview by my marvelous friend and blogging sister, Deeba. She is not only a truly and incredibly talented baker and photographer, but she is such a wonderful, warm, generous person. I am thrilled to be friends with her and love running the Mactweets blog with her. It has been a great adventure loaded with fun and surprises. 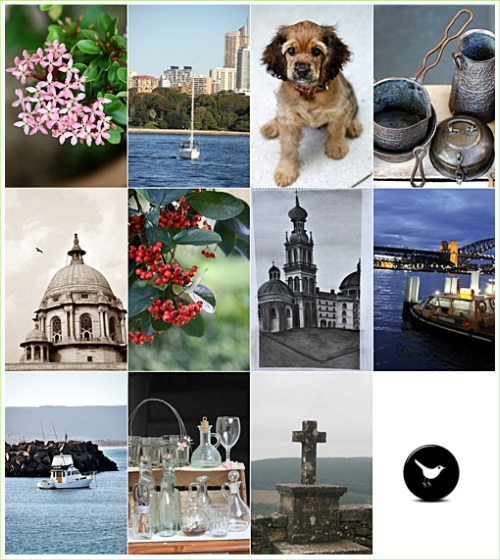 And her blog is stunning and always amazes me! Deeba is a continuous source of inspiration to us all baking enthusiasts. Her posts are always very informative and I have rarely come across any other food blog with such gorgeous photographs. Hats off to Ms Deeba. SOS! I purchased a Morphy Richards 40l, couple of days back. I tried baking macarons in it and it got burnt and all spoilt. Could you help which level do you use for mac, what temperature and what settings? Also for cakes please. I have a bake sale coming up and need to get my new oven up before that. 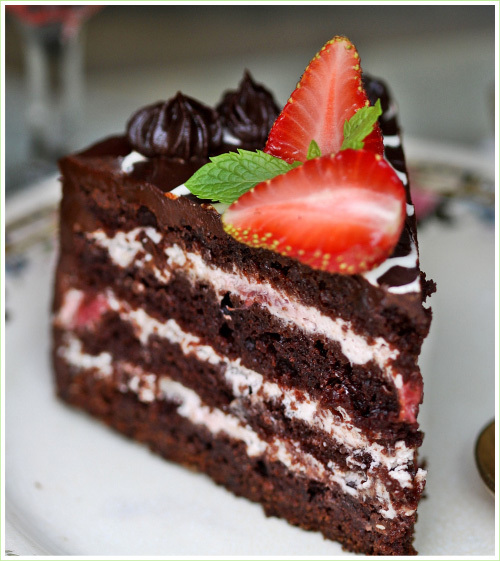 I am aspiring to be a good cake baker… Can you suggest a good oven for me? i wanna learn baking from you…so when can i learn..??? Such a beautiful page you have created ma’am. Very nice inspiring viws you shared here. loved it completely.